Ruth Lee Ltd has designed and manufactured high quality rescue equipment and training manikins for over 30 years in the UK. 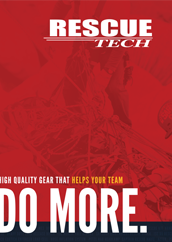 They have partnered with Rescue Technology to bring their market leading success to the US. All the different models are made in exactly the same way, with an inner body weighted with aggregate to human proportions, held inside the outer carcass. The aggregate is distributed around the body in weighted packets in such a way that slumping of the weight is prevented, allowing the dummy to maintain its form during and after use. The three main types, Flame Retardant (FR), Water Rescue (WR) and Fire & Rescue Duty Range (F&R), all use different materials; the F&R dummies (our most popular models) use a tough Polyester, Nylon and polyurethane foam, while the FR models are made using a mixture of Nomex, polyester, and heat resistant foam. 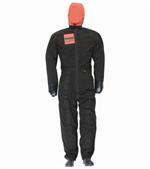 The WR manikins use Polyester, Nylon mesh, and non absorbent foam. All manikins apart from the FR models are reinforced using high density polypropylene webbing. The Pool Rescue manikin has been designed in consultation with the Royal Life Saving Society UK (RLSS) and is a revolutionary new product which allows trainee lifeguards to learn vital skills. See the video link at bottom. Avoid costly staff absences through effective training. Whole team can participate - no one has to volunteer to be the patient! 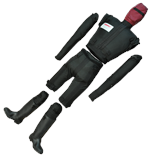 The weight range of the manikins, lets you tailor your training to your teams’ requirements. 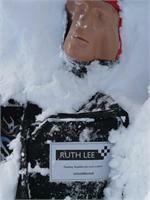 The Avalanche Manikin was developed after a request from Scottish Mountain Rescue. Made from durable PVC and is filled with foam to give the bulk and firmness of a body while also being lightweight (22 lbs) and easy to maneuver. The Bernard K-9 Manikin was created to help rescuers deal with either K-9 victims or Working Dogs in the vertical environment.